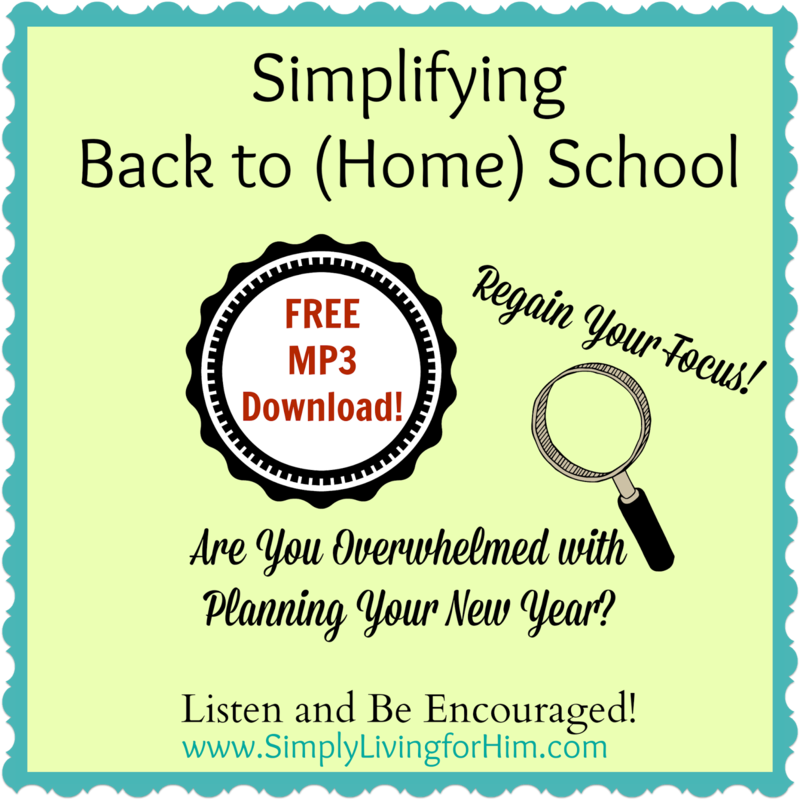 Simplifying Back to (Home) School FREE MP3 Download! It’s that time of year…time to break out the fresh new planner, the blank lesson plans, and the newly sharpened pencils! Oh, the joy of a fresh start! This is the year it will be different…this is the year we will get it right! Then, we get overwhelmed and distracted and quickly the joy is lost. Are you planning your new year? Are you wanting this to be the year where you finally get it right? Well, guess what homeschool mama? Each year is new and full of challenges and that is where God grows us. Discover the joy in your homeschool when you keep focus on God and what He wants to do in your homeschool! Don’t let the distractions pull you away from your true purpose. Wondering how to schedule? How to choose curriculum? Where to start? Come be encouraged..you may be surprised a the #1 thing you need to do right now before you start planning! You can download the MP3 for FREE- at Bible Based Homeschooling! 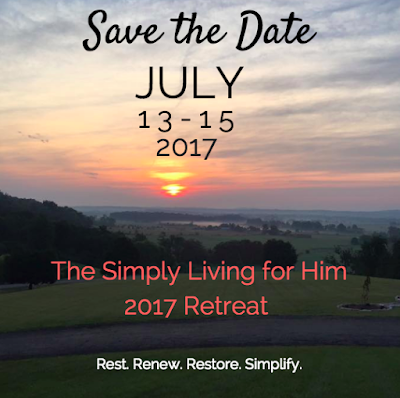 Simply Living for Him Retreat 2017 Dates Announced! 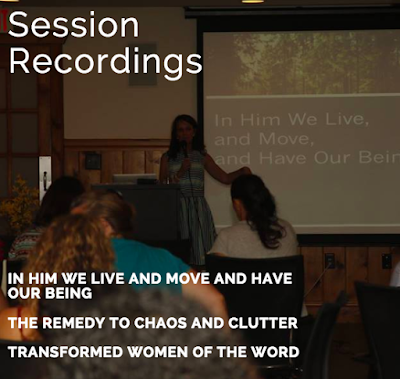 Get the session recordings from our 2016 Retreat!